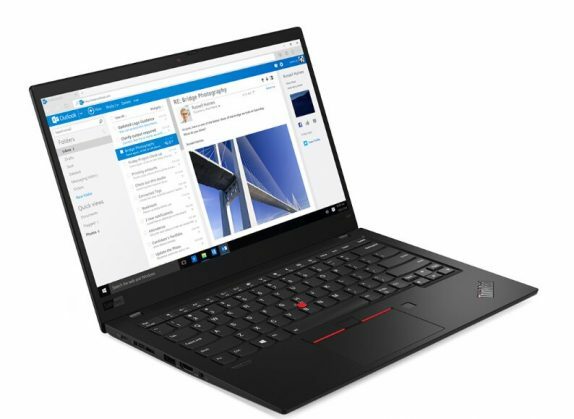 Lenovo has announced the latest additions to the ThinkPad X1 products; the ThinkPad X1 Carbon 7th Gen and ThinkPad X1 Yoga 4th Gen. According to the company, the X1 Carbon 7th Gen and X1 Yoga 4th Gen are both thinner and lighter than ever. The 4th-gen ThinkPad X1 Yoga is the company’s first-ever ThinkPad with an all-aluminum chassis. The new refreshed ThinkPad X1 models sport new display options, including a 500 nit, 10-bit 4K Dolby Vision display, and a low power 400 nit FHD screen. The laptops also come with Dolby Atmos system with four speakers and four far-field mics. The ThinkPad X1 line-up is powered by upto the latest eighth-generation Whisky Lake Intel Core processors. Both the laptops come with up to 16GB of RAM, up to 2TB SSD, two USB 3.1 ports, HDMI out, and a 3.5mm audio jack. The ThinkPad X1 Yoga has one Thunderbolt 3 port, whereas the ThinkPad X1 Carbon packs two. Both ThinkPad X1 laptops include a new 400 nit FHD display option with new ThinkPad PrivacyGuard which protects the end users screen from prying eyes. ThinkPad Privacy Alert software warns users if anyone is looking at their screen, and will automatically turn on Privacy Guard. The laptops also pack new Cat16 LTE-A option and enhanced WLAN and WWAN antenna design. The ThinkShutter is now available on both HD and IR cameras. Lenovo is also launching two new ultra-wide monitors; the ThinkVision P44W aimed at business users and Legion Y44w will target the gaming users. Both these monitors pack a 43.4-inch display panel with 32:10 aspect ratio and DWUXGA (3840×1200 pixels) resolution. The monitors also support AMD’s FreeSync 2 technology. These come with two HDMI 2.0 ports, one DisplayPort, two USB-C ports, and four USB ports. These monitors support picture-by-picture (PBP) with one-key enable and switch for dual sources offers new levels of multi-tasking capability. The smart desktop management software allows for multiple monitor configurations and display regions to be created. They are VESA certified displays with HDR 400, 450nit peak brightness delivers a vivid and realistic display experience through better contrast and color accuracy. ThinkPad Thunderbolt 3 Dock Gen 2 is available now at $319.99 (Rs.22,426 approx. ).